Places available in fun, active, low pressure guild Global Angels 3. 200 stars minimum per challenge. Join before the next challenge! Be a part of an active guild. Join before the challenge starts and collect your rewards! Global Angels 3 is almost full, we have 19 active contributing players! One spot left to fill. 200 stars per challenge. Send your request now. The challenge has already started! After the current challenge, one of our players is taking a break from the game. So that leaves one open spot in Global Angels 2. We are looking for someone who gets 600+ stars per challenge and tries their best to get as many stars as possible. Join Global Angels 2 on Monday. After the challenge is over, we will have one spot. 600 stars minimum per challenge. 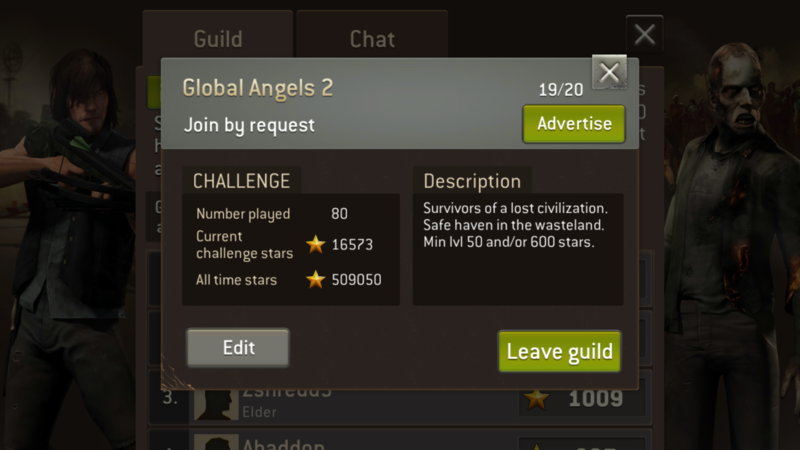 Join Global Angels 2 today after the challenge ends. 600 stars minimum , at the moment we have more than 15,000 stars as a guild. we might have two available spots. send your request now!